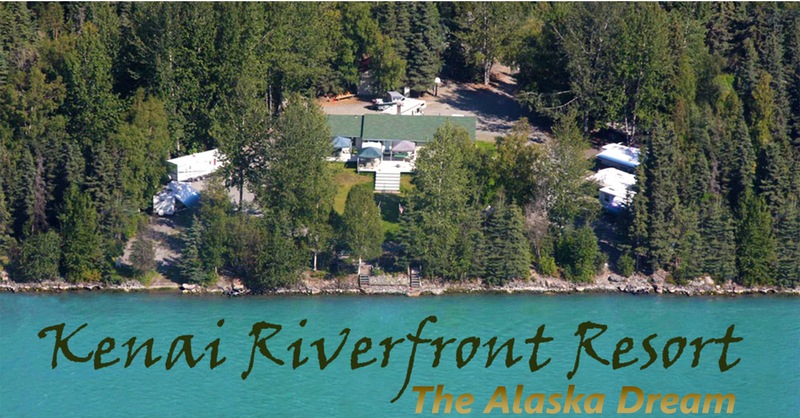 Thanks for visiting my "Alaska Wildlife Up Close" page at Kenai Riverfront. 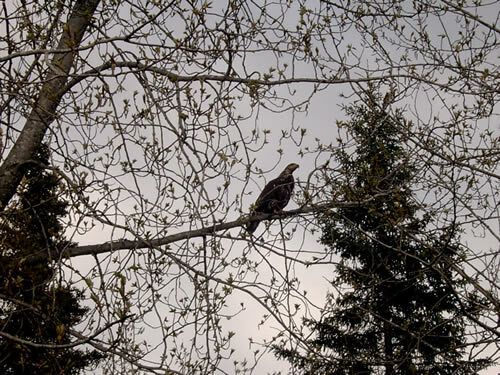 I'm Jillian Nelson, I'm 13 years old, and I love to take Alaska wildlife pictures. I'll try to capture our local wildlife on camera for you to enjoy online over the coming months. 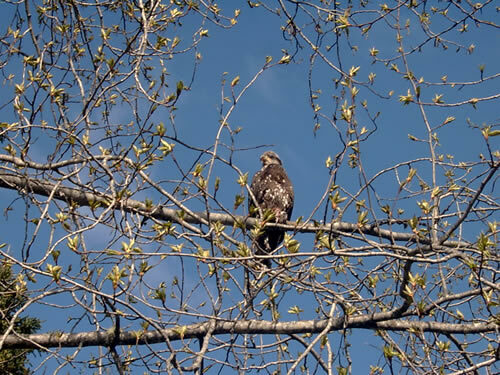 On the first day of launching this page I spotted 11 moose, 7 caribou and 10 bald eagles. Some of those photos will be featured below soon! If there's a particular Alaskan animal or fish you'd like to see, please email me! 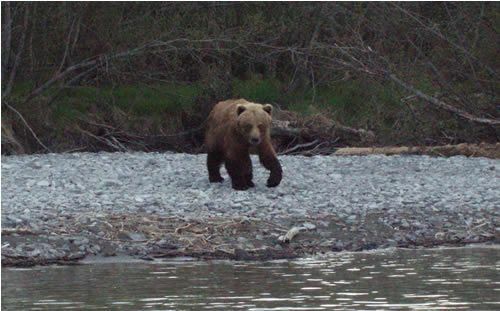 From our boat this evening, 5/27/07, we watched this beautiful Brown Bear swim across the Kenai River and then roam around the beach on the other side of the river, we were really close! 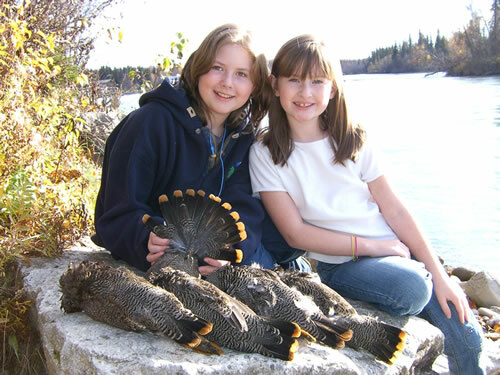 Grouse hunting is getting good now that the leaves are falling, we'll be having birds & gravy for dinner tonight! This pregnant moose wanted to join us for dinner on May 6th. 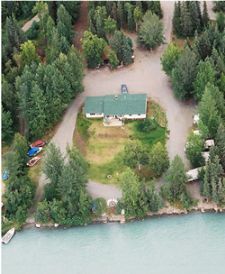 She swam across the Kenai river and came up our river bank and into our front yard! She will have her baby/s in a couple weeks. 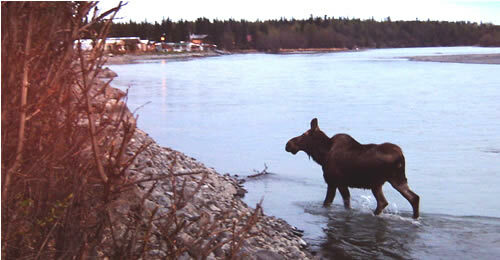 I captured this herd of caribou on camera in action just minutes from Kenai Riverfront on May 4, 2005. We see small herds of caribou wandering in our area throughout the summer, but they head toward the mountains in the fall.